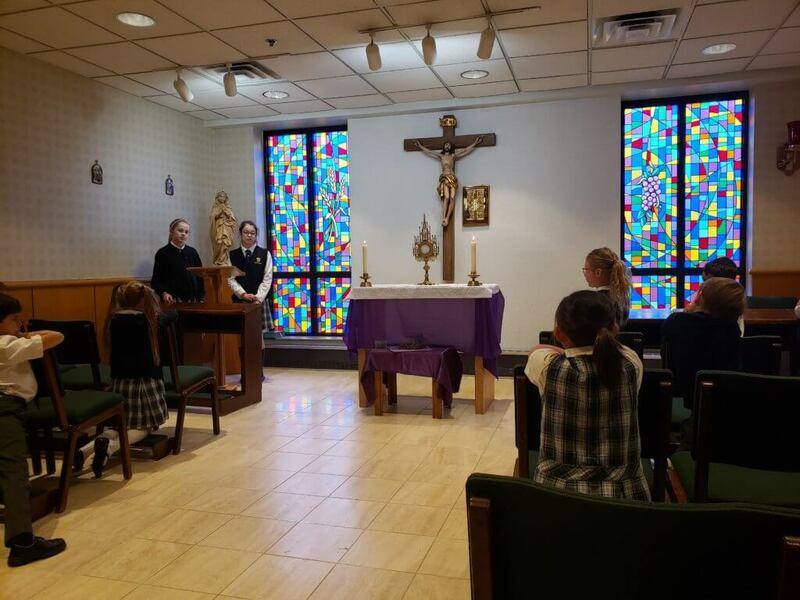 The Everest Academy middle school campus ministry club members led adoration for the second graders during this semester’s adoration day. 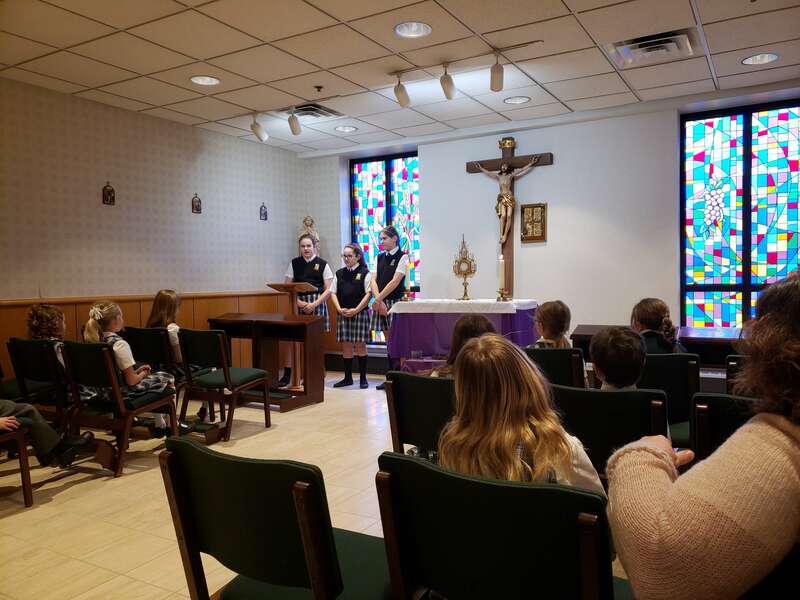 As the second graders are in the midst of preparation for their First Communions and first Reconciliation, the middle schoolers thought they would like to share their own experiences. The older students began by sharing memories of their own First Communions. Then other middle school students told the younger students about moments in their life when they felt God’s presence in a special way. The time of adoration concluded with some advice for the second graders on how to focus on Jesus during this special day coming up for many of them. It was a great moment to pray together and to entrust all intentions at Jesus’ feet. We pray for all our second graders as they approach these special moments of grace!